When you loved someone truly, it's most hard to move on when you break apart. You can't just wake up the next morning feeling like you don't love him anymore, nevertheless, things change and it might come some time when you can't stay together anymore. When a relationship that is based on so much love comes to an end, it often ends up with so much pain and anger. Where love is concern, we often can't seem to act reasonably, therefore, being in each other's life can be an unnecessary reminder of all the hurt and pain you've been through. When I came to break up, I felt extremely stupid, stupid in love, for all the nonsense I let slid by, for all the lies I believed, and all the broken promises and excuses I tolerated, and having my ex in my life as a friend would only make me feel even bad about myself, the least I could do then was to keep a distant, at least that would make me feel like I've done the right thing for myself. 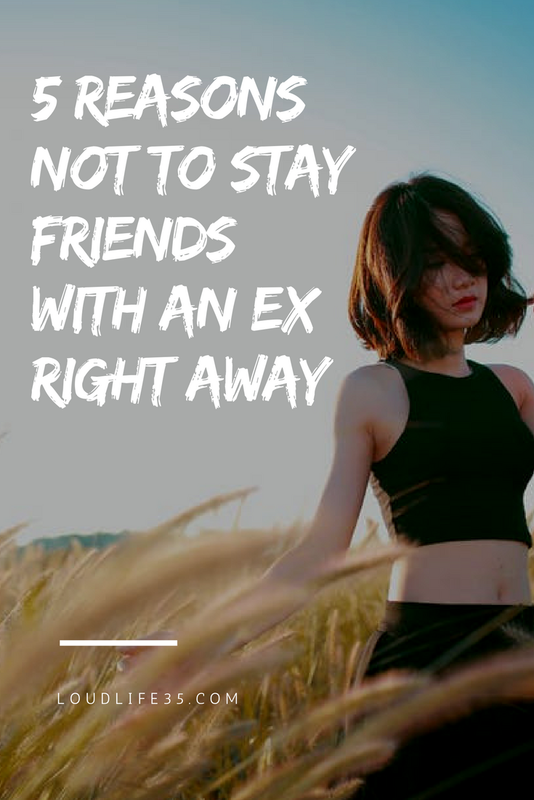 If you want to be friends with and ex, you got to move on fully first. And you won’t move on until you forgive. No one can get over a love relationship over a night. It's not like you can convince yourself, and decide to move on. You'll need some time. Scientifically we need more than three months to move on after a breakup, and while forgetting and healing, you shouldn't keep in touch with your ex. That is unless you want to keep loving him! Just keep in mind that bit by bit, you’ll think less of him and more of yourself. Bit by bit, you’ll ceased to feel interested about anything that involves or concern him. Bit by bit, it will ache less and you’ll find happiness and inner-peace, maybe not right away, but you’ll most certainly will. When you break up you might be left feeling confused, trying to understand the reasons why you both had to end up what used to be the joy of your days. Talking further with him might sound like a good idea to help you understand and see things clearly, that maybe he has some answers for you to help you out of your confusion. But it often wouldn't get you anything but more arguing and pain. Sometimes you don't have to understand everything. 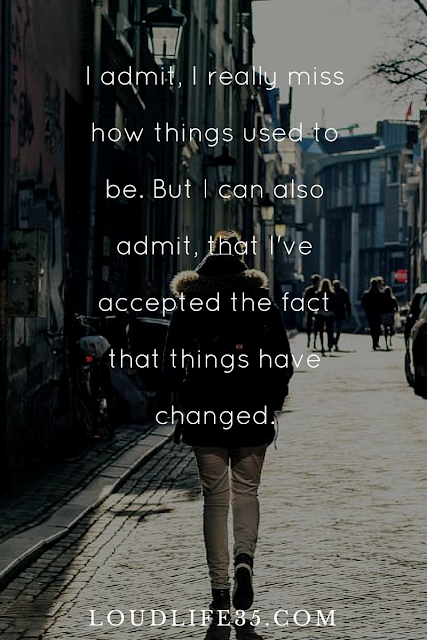 Somethings are best accepted as they are, just keep in mind that it's not just his fault, you have a share too. His name used to sound like a melody in your mouth, now each time you try to call his name, it hits you that it doesn’t feel right, it’s almost awkward. Even he, used to call you sweet names, now hearing him might make you feel nostalgic because you used to love the way he calls you. All the intimate moments you shared with him and now you just don’t have the right to think and fantasize about it. But it’s okay to miss your former relationship, it doesn’t mean that you’re regretting breaking up and that you want to go back. It’s quite normal for us to long for our good memories. It’s not about the person, it’s about the memory. When life feels hard, we remember our good memories and wish we can relive them again instead of this bitter reality. Only it isn’t possible, and the person you were with, isn’t the same. You are not the same. You still can stay friends with him. After all, it's always better to be in peace with people, forgive and forget than to hold grudges and make your life harder and more complicated than it already is. Just make sure you take your time and move on fully then, a simple hi and a small conversation every now and then will be great. Well, it is not necessary to consider a person as your enemy after having a failed relationship. Rather, there are many examples when lovers get reunited after breaking up their relationship in the past. Won’t you like to find out the best ways of patching up the relationship and be in love once again? No, you don't have to consider him as an enemy, and it would be great if things could be fixed and you could be in love and happy again. But if this isn't the case and things can't be fixed anymore, you'll have to move on. In the meanwhile, you should keep your distance if you ever wanted to be fully over the relationship. That is why it would be more convenient not to stay friends with an ex right away, I mean right after the breakup. You still can be friends, but after you're fully over him. P.S: Thanks for passing by. I loved the article you shared.